Antiqiue vintage pillow case. used in the traditional best room. 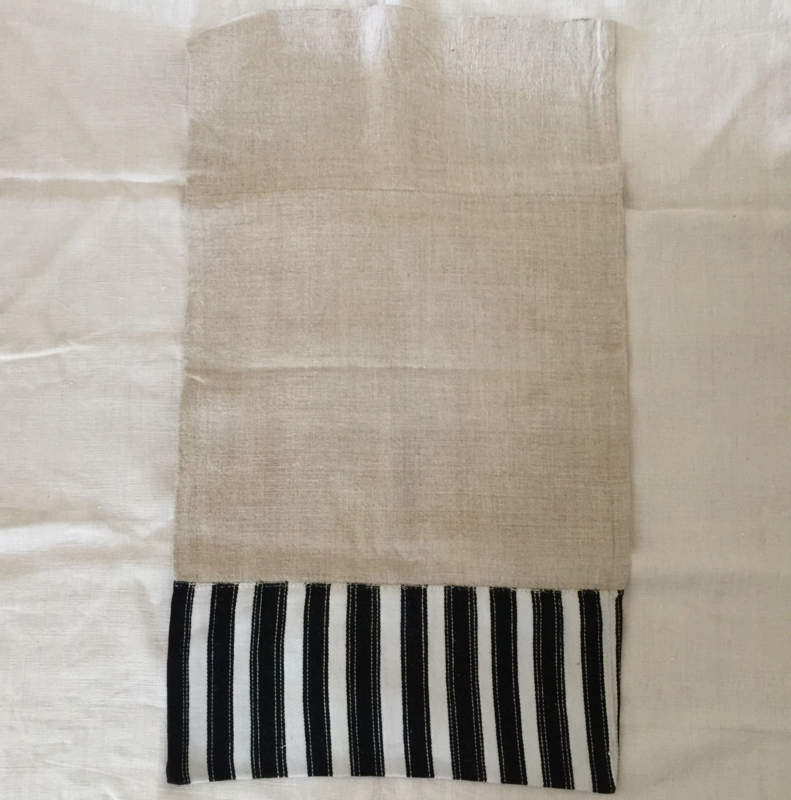 Black and white striped piece hand stitched to a lovely nubby hemp. Ke monogram on one corner. All home woven.